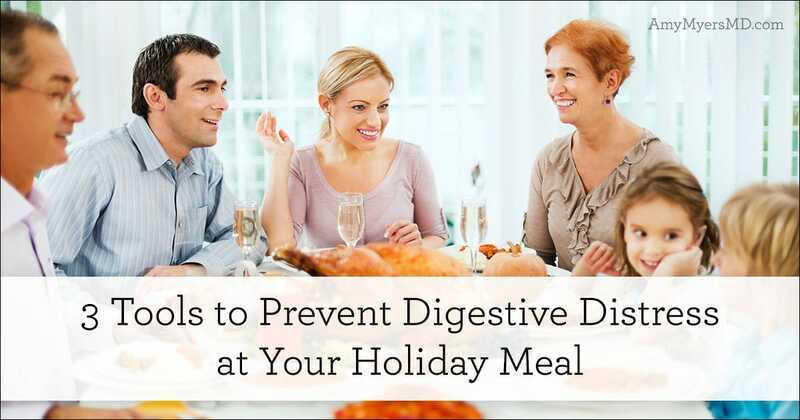 3 Tools to Prevent Digestive Distress at Your Holiday Meal! Have you ever finished a big holiday meal and experienced the painful symptoms of heartburn, bloating, gas, or a stomach ache? 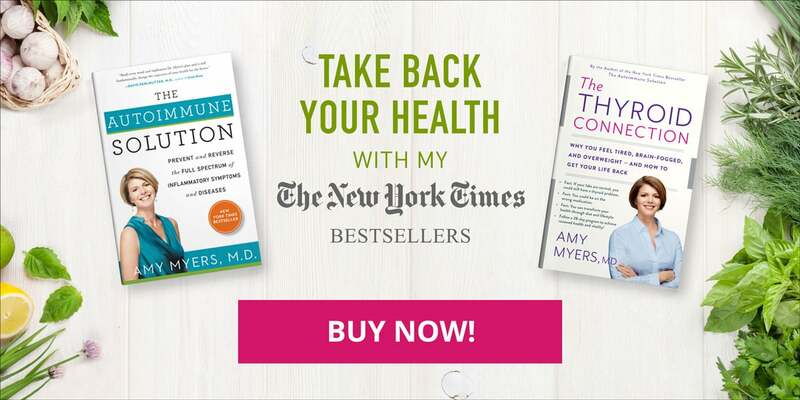 Even if you are following The Myers Way® and avoiding toxic and inflammatory foods, your gut might be low in key chemicals needed to properly digest your food and avoid these symptoms. But the holidays are a time for enjoying family, friends, and the spirit of giving, not recovering from what can sometimes feel like a food hangover! 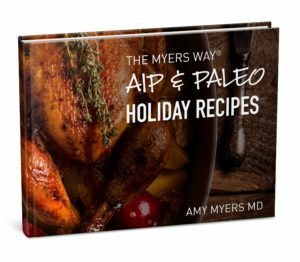 To help you enjoy a pain-free holiday meal, I want to share my top three tools to ensure you properly digest your food. 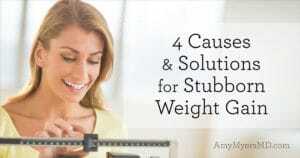 Your stomach’s digestive enzymes help you break down and absorb nutrients, allowing your food to digest properly. 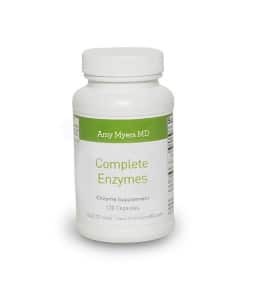 This digestive enzyme supplement I carry in my store offers an exceptionally complete blend of enzymes, to support the digestion of protein, fats, carbs, fiber, and sugar. 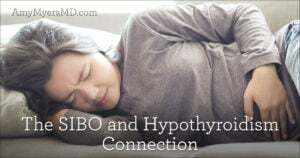 Contrary to popular belief, heartburn is typically a result of too little stomach acid, not too much. 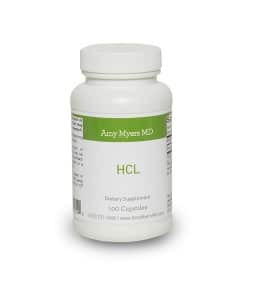 HCL is the primary stomach acid, and taking a supplement of HCL before a meal will help prevent heartburn.